Please be advised Galileo Coffee Company is currently closed until further notice. 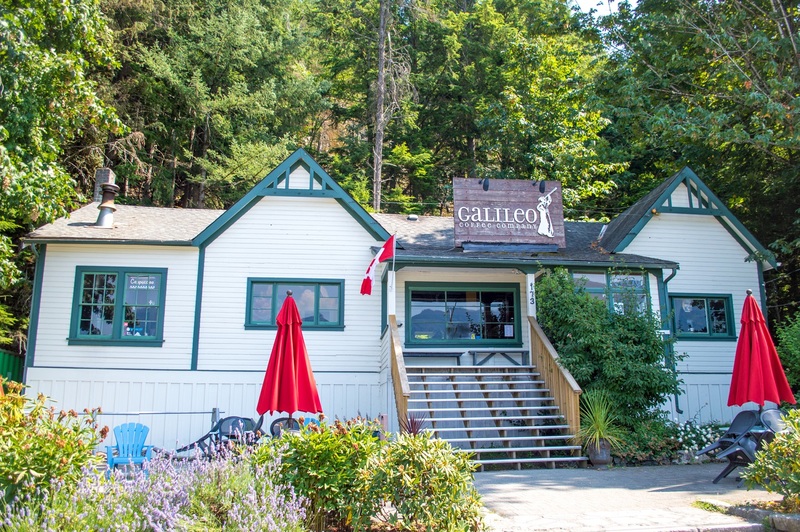 Nestled on the shores of Howe Sound in Britannia Beach, Galileo Coffee Company is located in the historic 1905 'Matheson House'. Once the home designated for the manager of the nearby copper mine and his family, customers can enjoy their coffee or tea while watching the waves roll in under the watchful eye of snow-capped Mount Sedgwick. Galileo Coffee Company prides itself on in-house baking, quick eats and most importantly small batch roasting. Small batch roasting enables roasters to bring to light the essence of the coffee and capture all the bean has to offer...it's truth. Those hoping to learn more about the roasting process can experience it through the view window. Visitors are also welcome to enter the roastery for a quick lesson.